The second episode of Modern Family’s fourth season got us a glimpse of something that might turn into an interesting and real thing. 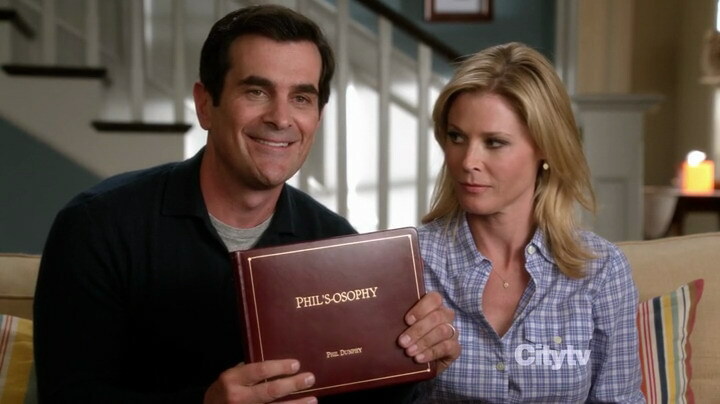 Phil Dunphy read some thought from his “book” called Phil’s-osophy and at the end of the episode other members of the show joined in and read some more of the funny stuff. On ABC’s website you can see excerpts from the “book” and also a montage clip of every reading from it (not available worldwide). Dance until your feet hurt. Sing until your lungs hurt. Act until you’re William Hurt. I put the word book in quotation marks because it isn’t an actual book. It’s something that was designed just for one episode. At least it looks like it. A few days ago I sent a message via Twitter to ABC and Modern Family but haven’t got the answer. Why would that question even matter? Well, because there are some books that were made as spin-offs from TV series and because fans would buy it. 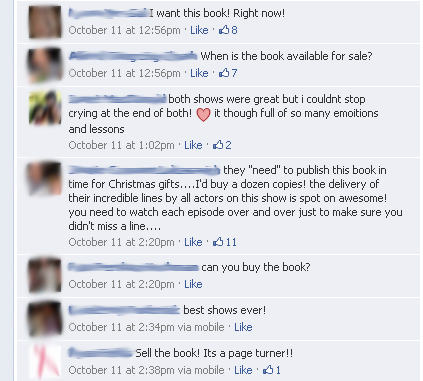 Just look at the comments from Modern Family’s Facebook page. Yes, saying isn’t buying, but some fans made a pretty clear statement. Recently one of the most interesting characters on TV today released its book. It’s called The Douche Journals: The Definitive Account of One Man’s Genius. It was “written” by Schmidt from the TV series New Girl. 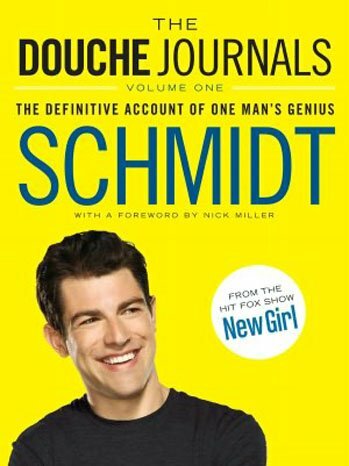 The book is a collection of the outrageous expressions and statement that caused Schmidt to drop bucks into the apartment’s “Douchebag Jar” between 2005 and 2010. I haven’t read it, but it’s a nice extension and probably a must have for all die hard New Girl fans. Exactly two years ago another spin-off came to bookstores. 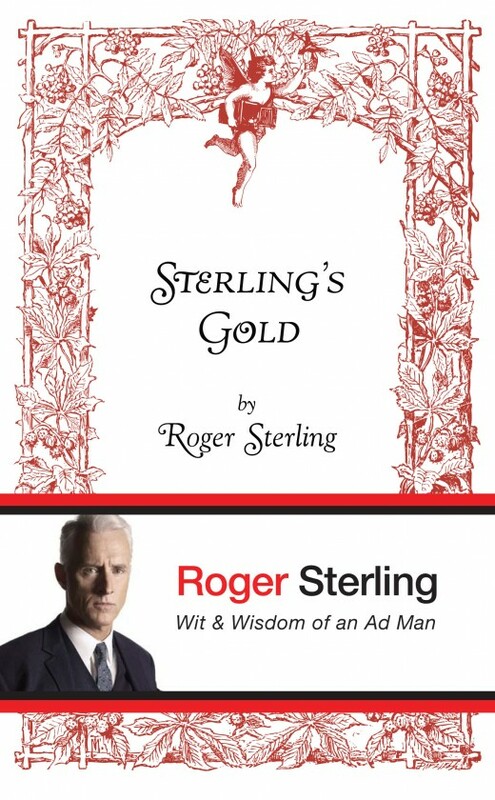 American publishing house Grove/Atlantic spotted an opportunity and released the book called Sterling’s Gold: Wit and Wisdom of an Ad Manby Roger Sterling Jr. It’s was of course aimed at all Mad Men fans all over the world. Roger Sterling is a fictional character from Mad Men. He’s a founding partner of Sterling Cooper (and then Sterling Cooper Draper Pryce) ad agency and known as a witty character. During the fourth season he was writing his autobiography, but Sterling’s Gold is not that book. The book is not a Roger’s memoir but rather a compilation of lines from the actual show, which might be a disappointment for many fans. One reviewer on Amazon also said that it’s an entertaining 20-minute reading. Some 15 years ago I came across one interesting book in my local library. I mentioned in a couple of blog post that I am (or at least I used to be) a huge fan of David Lynch’s TV series Twin Peaks. I also thought that the book The Autobiography of F.B.I. Special Agent Dale Cooper: My Life, My Tapes by Scott Frost is awesome, too. 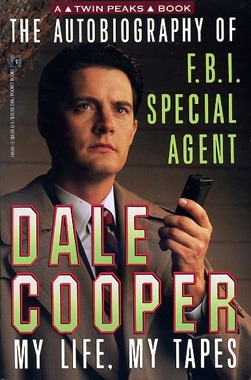 The book is written as a bunch of transcripts of FBI agent Dale Cooper’s tapes that he made throughout his life: from childhood to the call to head to Twin Peaks. Great stuff for all Twin Peaks fans. What’s next for ABC and Modern Family? There is a Phil’s-osophy Facebook app at the moment, but in my opinion that can be just a start. A proper book would be a very interesting, but not necessarily a huge money-making project. What do you think? Would you buy a book?